4 Bedrooms | 4 Bathroom | 4032 sq.ft. 4 Bedrooms | 3 Bathroom | 2953 sq.ft. 3 Bedrooms | 2 Bathroom | 1731 sq.ft. 4 Bedrooms | 4 Bathroom | 2814 sq.ft. 7 Bedrooms | 3 Bathroom | 4433 sq.ft. Breckenridge Heights on the east side of town. 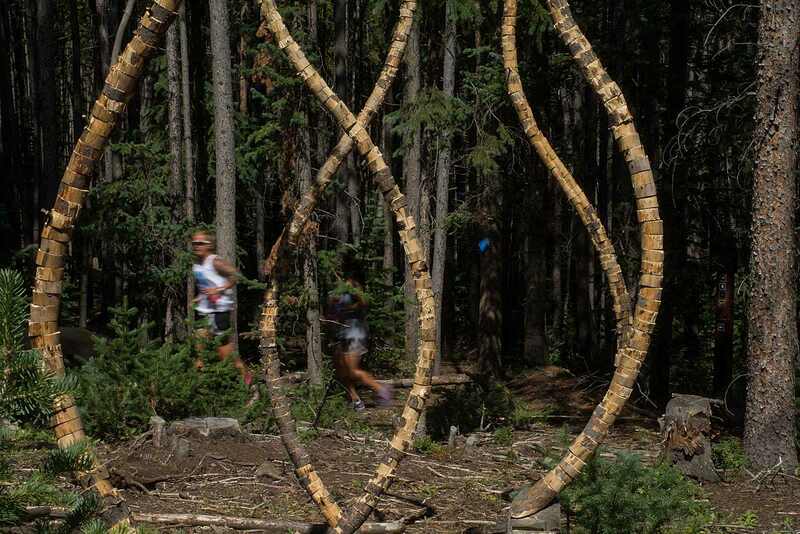 Running on the Moonstone Trail between Breckenridge Heights and Carter Park amid sculpture installation for the 2015 Breckenridge International Festival of Art. Breck Heights is a neighborhood with a pleasantly wide variety of single family homes just outside of Breckenridge town limits, so no one pays a transfer tax here! Located a few hundred feet in elevation above Main Street and only about a half-mile away, Breckenridge Heights homes are considered by most to be walking distance to town — especially in the summer when it's easy to use the trail system for access. Most of these properties enjoy views towards the ski area or to the north, and due to the proximity to town and relative affordability many locals have made this neighborhood their home. Ready to Buy or Sell a Property in Breckenridge Heights? I'm ready to help! Whether you need an estimate of value or you'd like to be automatically notified when a new Breck Heights home hits the market, I'm easy to reach ... by phone/text at 970-485-1518 or email at mikek@realtor.com. I'm usually available during regular business hours, seven days a week, or will almost always get back to you within an hour. I look forward to helping you everyway I possibly can!